Good news for fans of disgusting stitched together monstrosities. 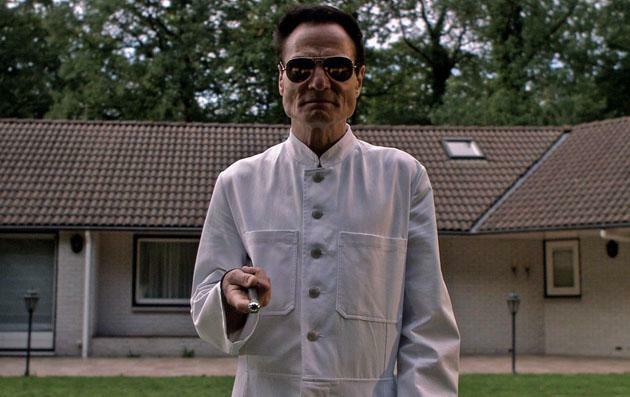 ‘The Human Centipede 3’ has finally got the green light after director Tom Six abandoned his legal battle with star Dieter Laser, and it will feature the biggest ‘centipede’ so far, made from ‘500+’ unlucky victims. We’re also promised "a megalomaniac 500 + human centipede". Gosh. Director Tom Six said: “I know my ‘Human Centipede 3’ will be very politically incorrect, but I didn't want to change anything in the script. I am very happy Dieter will follow my vision for a full 100% now and know he is absolutely the most brilliant actor I could wish for." Last March we heard that Six was threatening to sue Laser for breach of contract after saying the actor’s ego had “grown to laughably big proportions” during pre-production for ‘The Human Centipede 2 (Full Sequence)’, “demanded unacceptable script changes” and dropped out “only seven weeks prior to shooting”. The sequel eventually made just £942 when it was released in the UK last year, despite widespread media coverage after it was initially declined a rating from the BBFC. They eventually awarded it an 18 after more than two minutes of footage was cut. ‘The Human Centipede 3’ starts shooting in the US in May.